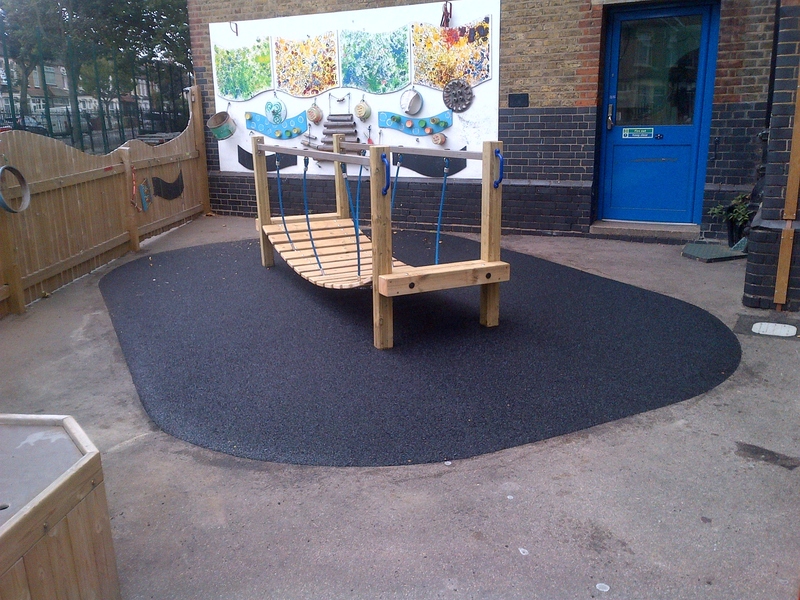 Wetpour safety surfacing is a porous impact absorbing surface used in play areas to give safety to children. 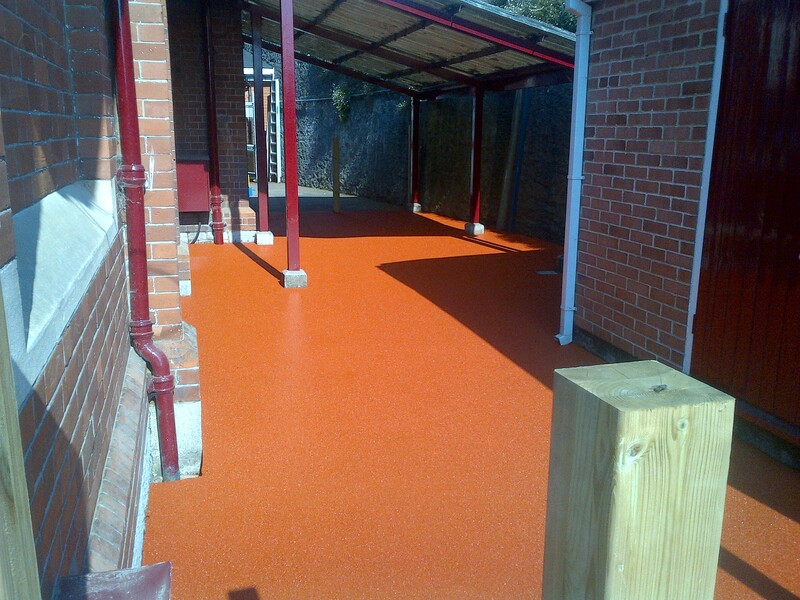 This is formulated from rubber granules and polyurethane binders. 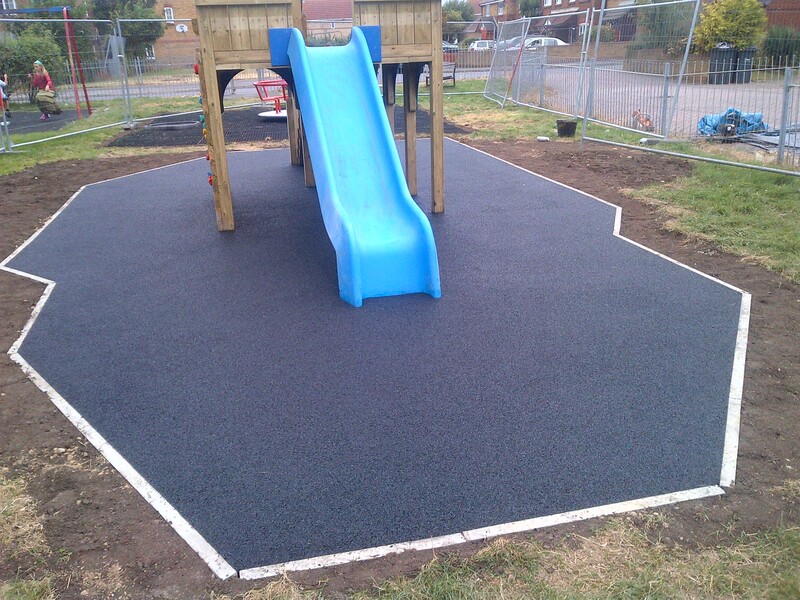 The surface consists of two layers: a base layer of coarse black granules made from recycled tyre rubber, and a top layer wearing course of finer rubber granules. 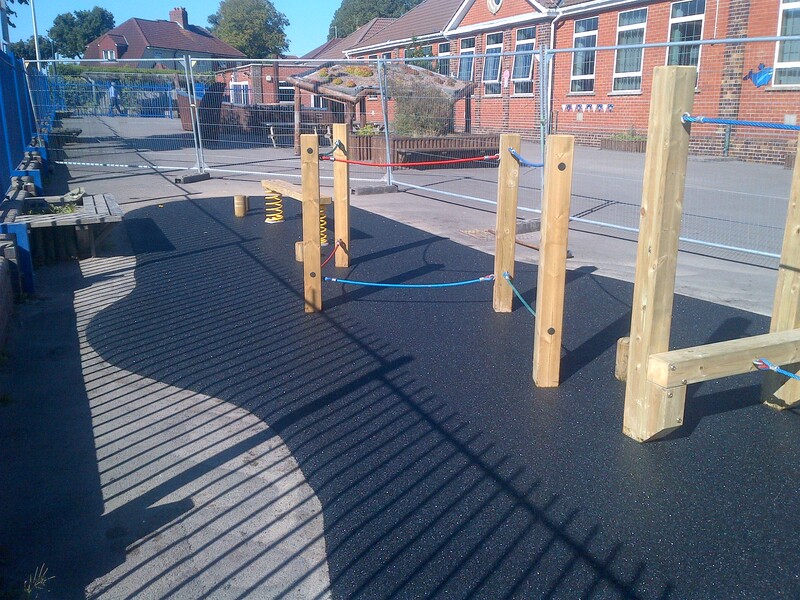 Wetpour can be installed around all equipment and in play areas to cushion impact from potential trips and falls. 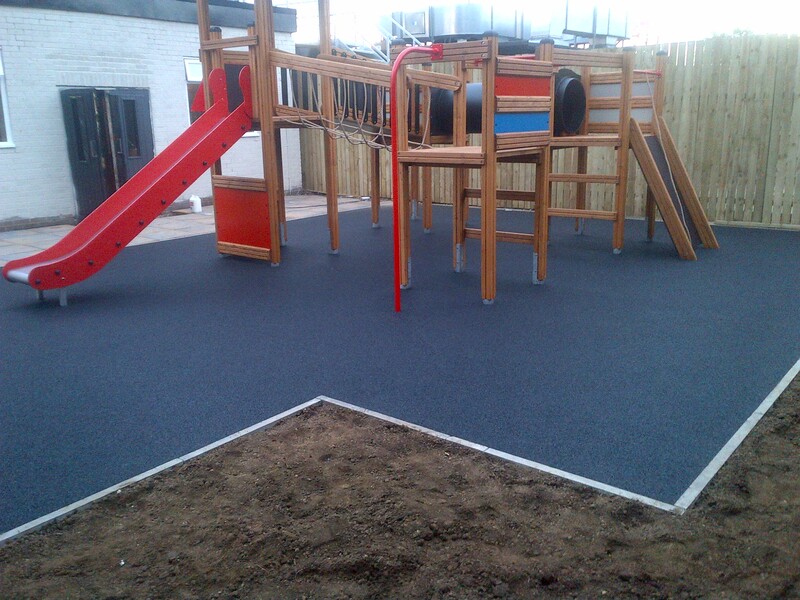 The base layer is varied in depth to meet the safety requirements of all play equipment. 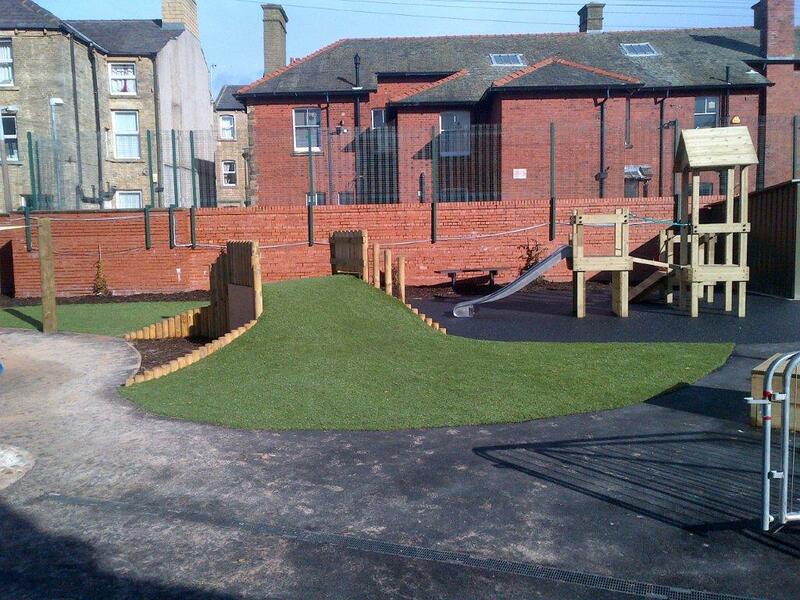 Our surfaces can usually be installed onto a crushed stone layer. 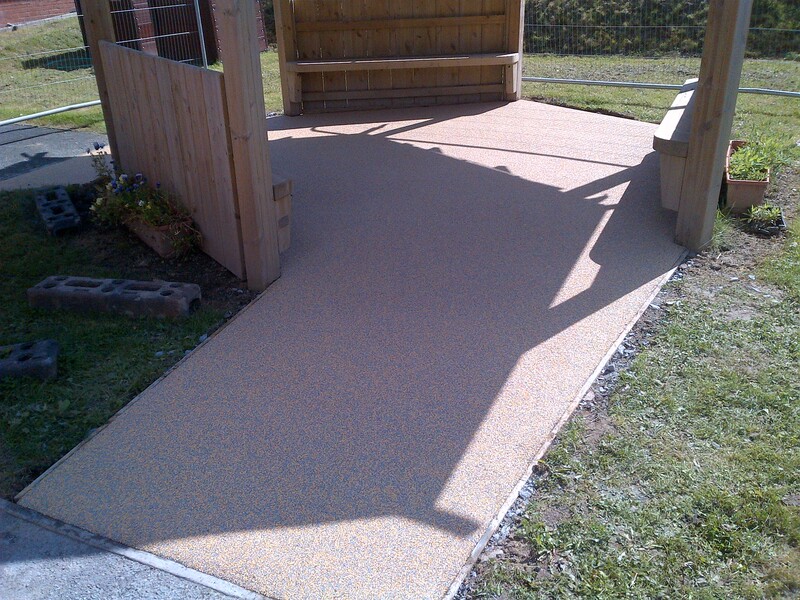 It can also be laid onto new or existing hard surfaces, like tarmac and concrete, or even over existing wetpour. 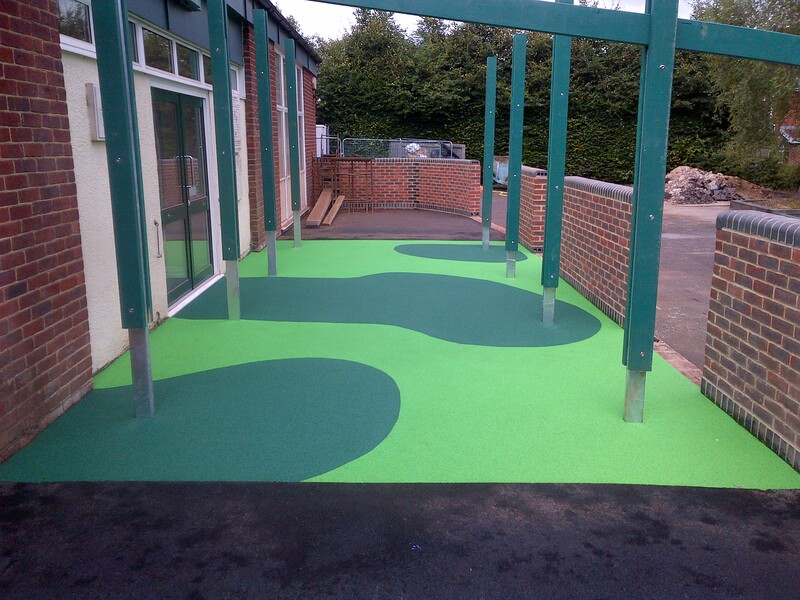 Wetpour surfaces are available in a variety of colours and can be adapted to your own requirements by adding graphics and patterns. 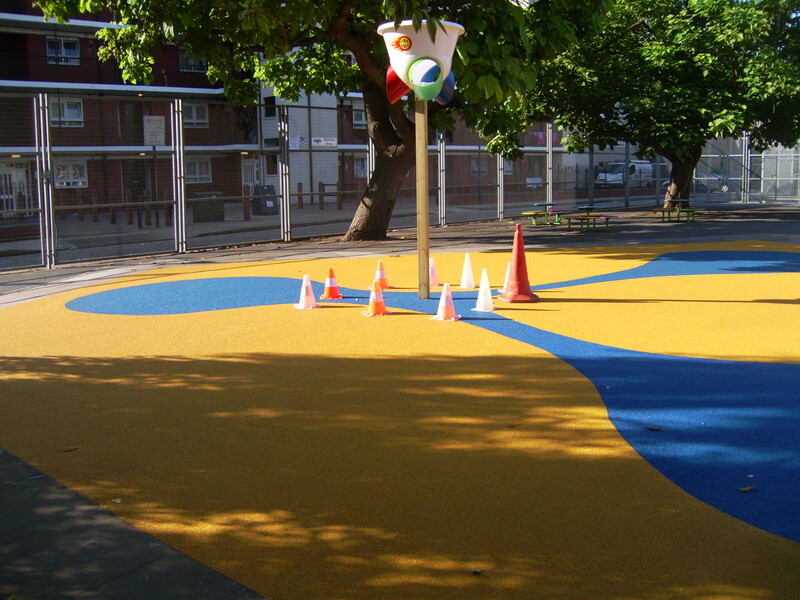 Graphics can be added to new or existing wetpour surfaces. 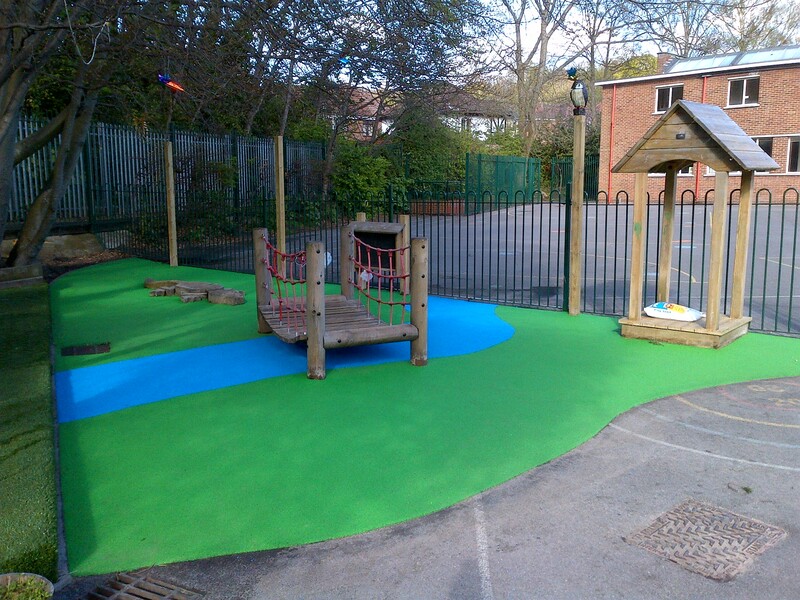 Wetpour is a safe non slip surfacing suitable for many different areas such as, children’s playgrounds, sports and leisure facilities, gardens, swimming pool surrounds and golf walkways.